Hillary Clinton's new book about the 2016 election is harsh on misogyny but ignores the role of race and her own policies. 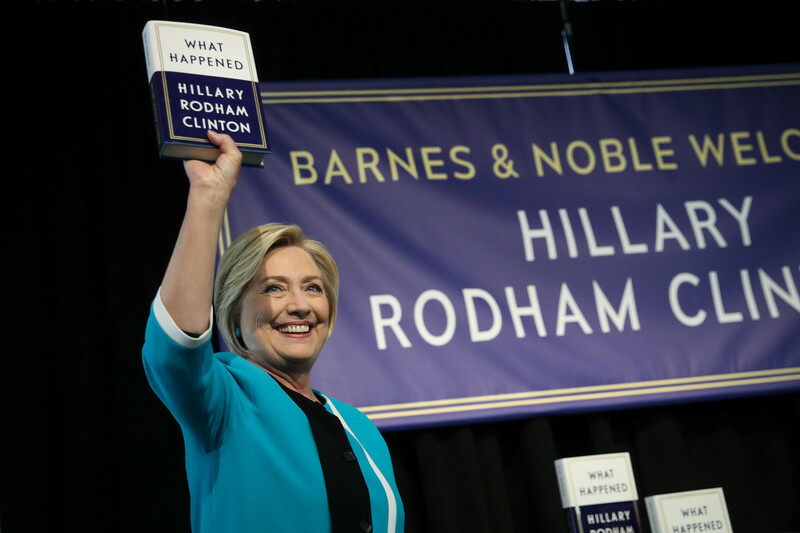 Former U.S. Secretary of State Hillary Clinton holds up a copy of her new book What Happened at a book signing event at a Barnes and Noble bookstore on September 12th, 2017, in New York City. A new book by a presidential candidate who won the popular vote but lost the general election is bound to attract attention. But based on some early reviews, not everyone was excited to read Hillary Clinton&apos;s account of the 2016 presidential election and her ultimate loss to Donald Trump. 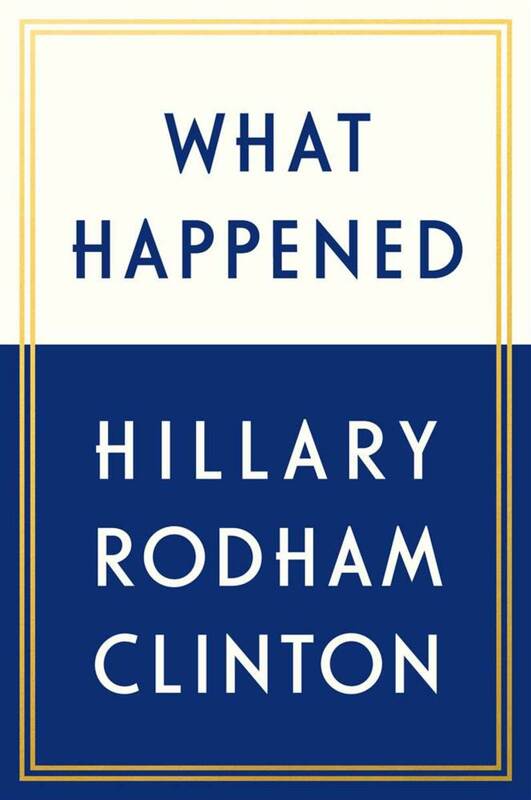 Clinton&apos;s resulting 464-page book about the election, What Happened, published September 12th, seems tailored to appeal primarily to her fans. Throughout the book Clinton talks about Trump, her infamous emails, and the outside forces of misogyny that played a role in the election. What Happened begins with Clinton describing what it was like to attend Trump&apos;s inauguration on January 20th, 2017. Though some supporters called for her to sit out the inauguration, Clinton sat next to her husband Bill and smiled occasionally at the ceremony. Clinton writes that she felt her presence was necessary for "the peaceful transfer of power" from one president to the next, a sentiment that was shared by former president Barack Obama. Clinton notes that several members of Congress, including Representative John Lewis (D-Georgia), did not attend the inauguration, but Clinton was inspired by her commitment to "tradition." Clinton will later claim to have helped led the woman&apos;s revolution in What Happened, but in the first chapter she demonstrates her commitment to maintaining the political status quo. 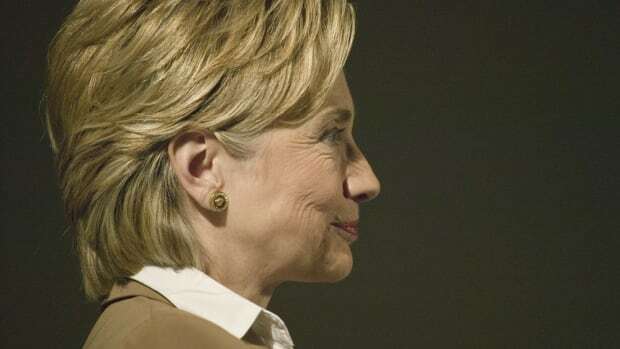 In rationalizing her attendance at the inauguration despite her own professed uneasiness about it—as well as in subsequently defending her support for the invasion of Iraq and private meetings with bankers during her 2016 campaign—Clinton shows where her loyalties lie, at least according to her book: with the state and the wealthy, not necessarily the majority that she pledged to support in her campaign. (Recall Hillary for America&apos;s policy proposal on racial justice, which promised to "build ladders of opportunity for all people.") 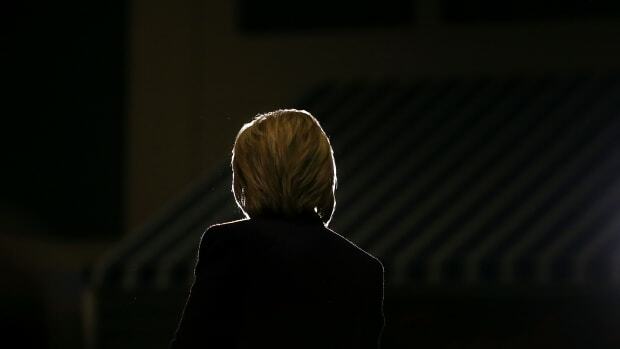 Despite her acknowledgement that these decisions were politically costly, What Happened spins a narrative that she was the victim of forces beyond her control—including Bernie Sanders, the Russian hack on her emails, and sexism—not one that admits she lost in part due to her own track record and policies. In interviews surrounding the release of the book, Clinton referred to herself as a "victim" in explicit terms. 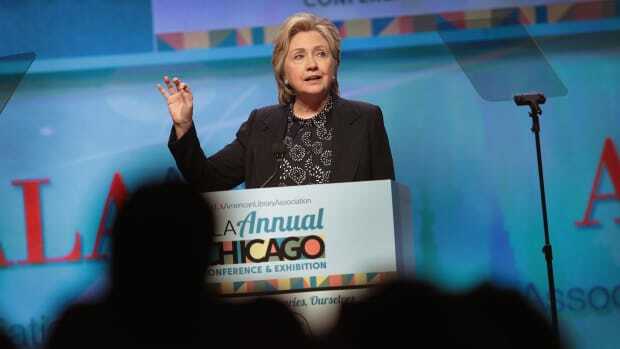 "I was the victim of a very broad assumption that I was going to win," Clinton said during an interview at Recode&apos;s Code Conference in late May. In an earlier interview with veteran journalist Christiane Amanpour, Clinton noted that her book would address the questions of whether or not she was a "victim of misogyny." As she told Amanpour, "It played a role [in the election]." She echoes this claim in the chapter titled "On Being a Woman in Politics," in which Clinton writes: "This has to be said: sexism and misogyny played a role in the 2016 presidential election. Exhibit A is that the flagrantly sexist candidate won." There is little doubt that misogyny played some part in the presidential campaign. 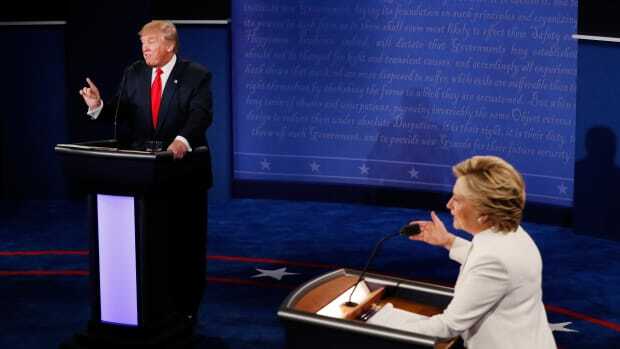 Male commentators suggested Clinton should smile more; she lost a job to a significantly less-qualified man; and poll results from the University of Arkansas&apos; Diane D. Blair Center of Southern Politics & Society found that Trump supporters were more sexist overall than Clinton supporters. But Clinton indeed won the popular vote, securing nearly 2.9 million more votes than Trump, and lost the election based on the rules of the electoral college. The electoral college has become the target of intense criticism on the center-left twice in the last few decades: first when Al Gore won the popular vote but lost the electoral college vote to George W. Bush in 2000, and again when Clinton met the same fate with Trump. Though Clinton claims misogyny helped lose her the election, the electoral college hasn&apos;t historically shown itself to be especially prejudiced against white women in politics (though, of course, it hasn&apos;t had much chance to: Clinton was the first female candidate to make it into the general election). It does have a marked history of racism. The electoral college was created by the 1787 Constitutional Convention in part because, in a direct voting system, Northern states would outnumber the South in voters, which could have compromised the legal enslavement of black people. By instituting the electoral college, slavery could be safely preserved. Race also played an important role in the 2016 election: In terms of voters themselves, Clinton lost the majority of white women, who in 2016 largely voted for Trump; 63 percent of white men did the same. According to an analysis of several studies by The Nation, polling suggests that white votes for Trump were not primarily an issue of misogyny, but one of racism: White people with racist tendencies, men and women, preferred Trump. Playing up gender while largely ignoring racial injustice and shirking personal accountability is at the heart of the brand of feminism crystallized in Clinton&apos;s book. In What Happened, Clinton writes of her decision to approve George W. Bush&apos;s Iraq Invasion: "When it comes to my more controversial actions—like giving President Bush the authority to go to war in Iraq—I was far from alone.... Why am I seen as such a divisive figure and, say, Joe Biden and John Kerry aren&apos;t?" Here, Clinton implies her gender is to blame for criticism leveraged against her; but Kerry and Biden weren&apos;t running for the presidency in 2016, and, in fact, both men have been criticized for their support for the war, just at an earlier date. Instead of addressing the fact that she voted for a very deadly and expensive war, and that this history might have swayed voters, Clinton deflects responsibility. And while sexism is well addressed in the book, Clinton does little in What Happened to demonstrate that racism was an important issue in the election as well. In chapter eight, Clinton includes an anecdote about meeting the Mothers of the Movement, a group of moms whose black children have been killed by the police, in police custody, or by gun violence. Clinton writes that Lezley McSpadden, the mother of Michael Brown, who was shot and killed by a policeman in 2014 when he was just 18 years old, spoke with her about police brutality, asking "Are we going to see change?" But Clinton&apos;s comments on racially motivated police violence are vague. She writes, "Treating everyone with care and respect is especially important for the men and women charged with keeping us all safe," and defends the "bravery," "professionalism," and "integrity" of law enforcement in general for several paragraphs. She notes that law enforcement officers have kept her safe during her life in politics, appearing to pit her own exceptional experience with police as a wealthy, powerful white person against that of black mothers whose children have been killed. After her loss in the election, Clinton says that she thought about the Mothers of the Movement while "feeling sorry" for herself. "[The Mothers&apos;] courage, their generosity of spirit, their refusal to give up—all of it inspired and motivated me," Clinton wrote. In the same chapter, she explains how "proud" she was that Bill Clinton had "taken on the [National Rifle Association], and won," during his presidency, discussing "the need for communities to respect the police who protect them." Her remarks about the Mothers doesn&apos;t quite square with her insistence that police officers "protect" communities. Civil rights activists dispute that police officers always protect communities, given that black people and Latinos are disproportionately killed by the police. Mirroring her rhetoric as a candidate, Clinton attempts to appeal to groups on opposing sides of important issues, failing to take a definitive side. When Clinton discusses Black Lives Matter, she criticizes particular activists whose methods she didn&apos;t care for. 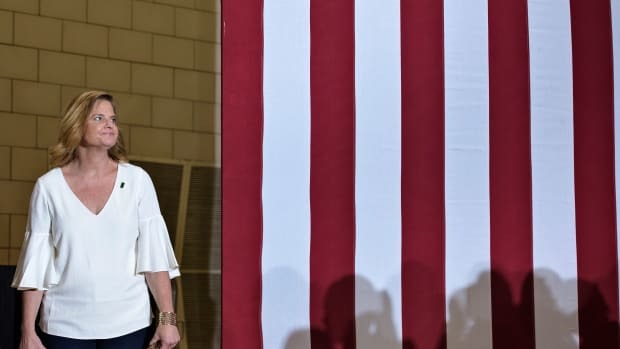 Referring to a small group of activists who came to one of her town hall meetings in August of 2015, Clinton claims that they were "more interested in disruption and confrontation than in working together to change policies that perpetuate systemic racism." One of the activists asked that she take responsibility for her role in Bill Clinton&apos;s 1994 Violent Crime Control and Law Enforcement Act included a number of measures, such as funding to prevent violence against women, but also eliminating access to higher education for incarcerated people. The Act is also infamous for increasing harsh sentencing practices and providing millions in funding to hire more police officers and build more prisons, which has played a role in America&apos;s mass incarceration problem, predominantly affecting people of color. In response to the protestors, Clinton says the most damaging aspects of the Act were "a tough compromise" with Republicans who demanded certain provisions. She also notes that even her husband has admitted the Act aggravated mass incarceration of black people. In a time when anti-racist activists are calling attention to the historical resistance of white people to black-rights activism, this passage comes off as particularly anachronistic for a self-declared "progressive." Clinton&apos;s fans may find solace in reading about their heroine&apos;s perception of her triumphs; in the digs at Sanders (at one point she says he only ran to "disrupt the Democratic party"); and certainly her myriad Trump zingers. But the content of What Happened ignores what indeed won the election for Trump: racism. Had Clinton centered racism and racial injustice in her book, and perhaps especially a discussion of racism as it relates to misogyny, instead of her own feelings that she lost in large part because she&apos;s a woman, her book might leave readers with something pressing to consider. Instead, What Happened points the finger away from Clinton, and largely glosses over the role of race. 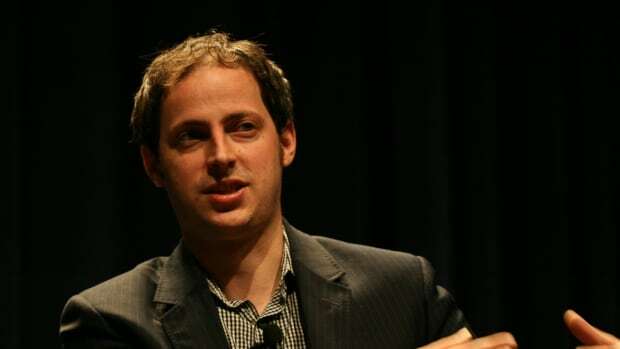 The director of communications on Hillary Clinton's 2016 campaign talks #MeToo, Stormy Daniels, and post-election America. The polls weren’t (completely) wrong.